Now you have to just knead the dough with all these ingredients, but be careful to knead it very well. Share the dough in 2-3 parts, and work with one part at a time. Put it on a wooden board, or kitchen counter (first pour some flour so the dough won`t be sticky). Use a rolling pin to stretch out evenly the dough. Leave them in the oven for about 10-15 minutes. The edges should be a little bit gold. First, mingle the butter with the powdered sugar. You can add 1-2 spoons of cocoa. If you add 2 the cream will be darker, if you add only one, the cream will be lighter. Now that the cream is done, just make some sandwiches using the cookies and the cream. You can put as much cream as you want. And now comes the frosting. I used melted chocolate, but I made a big mistake. I melted the milk chocolate in the microwave. God knows what happened, but the chocolate didn`t come out as I expected. But I had to use it since I didn`t have anything else in hand. 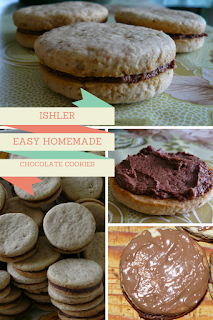 The ishlers still tasted amazing, although they didn`t look that good. We decided we`ll eat them all because they didn`t look good enough to show them to guests (and that wasn`t a problem at all). I`m linking up with these amazing and inspiring parties. This is a new recipe for me! I'd love to have a few bites right now! Looks delicious.... though i'm nog realy a coociefan..
Ishler are new to me and they look delicious! Although I have to say I prefer no frosting on top as I don't have much of a sweet tooth, Your photos are great to follow along with the whole mixing, baking, frosting process - reminds me of my mom as she's always baking something. definitely inspired to make ishlers soon! they look yum. Now you've gone and made me hungry! Cristina, you had me laughing when you said you ate them all because they didn't look nice enough. It's all about the taste. Who cares if they are not perfect looking. Haha! They look perfect to me! I love how carefully you explain every step. Melting chocolate can be so tricky, it is temperamental stuff - I don't think these look as bad as you think they do! Thank you Julia. I lke to explain every step I make. I often find recipes that don`t have enough explanations, and I find it frustrating. So I`m trying to make it easy for everybody. These remind of the Jam-jams my MIL used to make; they got better & better for being frozen & thawed later as they tasted even yummier than fresh. Thank you for so carefully eplaining the process. They look great! Thanks for sharing at My Busy Beehive's #beeparty this week! Come again! What lovely treats! Thank you so much for sharing with us at Hearth and Soul, Cris! Cristina, these cookies look incredibly delicious...chocolate is always a winner! Definitely trying these cookies. Thank you for sharing at Ravenwould. will do this for my mom's birthday! Look and sound delicious! Thanks for explaining the process so clearly, I will have to try out this recipe! This looks like a very good recipe. Thank you for giving me something new to try this week! Wow! These sound absolutely delicious - I'm definitely going to give these a go soon! 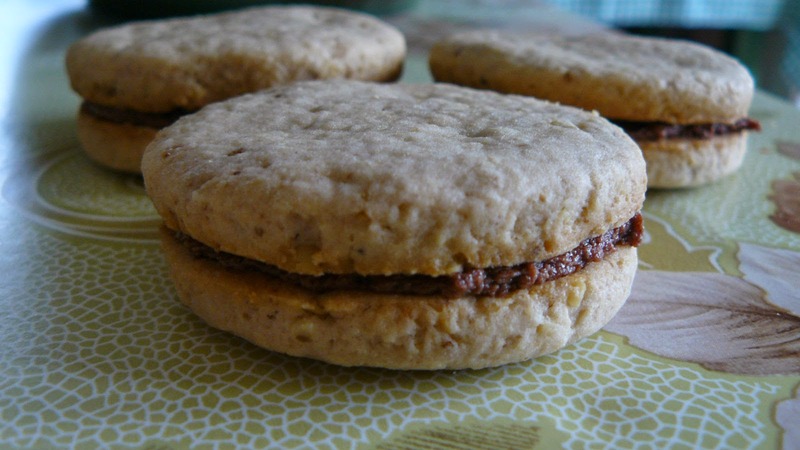 These look so decadent and perfect to have with some tea. I've never heard of these before, but these cookies sound delicious! They look delicious! I think I have all the ingredients at the moment, I ll try to make them this afternoon! wish me luck! These cookies look so yummy. The instruction is easy to follow so i must try it out. 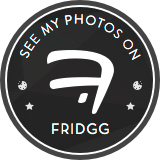 Thanks for your post! Love anything chocolatey and this recipe looks super easy to whip up! The end results looks so good!! Those chocolate cookies really look delicious. Although not sure how much my daughter would like the frosting part. But I know I would love it. Those look so delicious, I am trying to smell them through the computer screen. I'm pretty sure I'd love these. I tend to love all things with chocolate. And I love cookies! This just gave me a serious sweet craving! I think I might just have to bake some cookies tonight. Is this a Hungarian biscuit? I grew up in Transylvania and had this type of biscuit many times. There are a lot of Hungarian influences in Transylvania, especially on the food. Oh these look so good! I'll have to try making these. Wow, that looks really delicious and the procedure is so easy to follow. I will def try to make this for my kids, thanks for sharing your recipe. Those cookies look really good. I bet my kids would love them. Yum, my family loves anything with chocolate, it´s crazy! They do look good. We all have sweet tooths i. My house. oh oh !! looks so deliscious !!! would love to try your recipe ! must do it ahah thanks for sharing ! My sweet tooth will be the death of me lol. This looks so good, I really want to make some for the grandkids. We do a lot of cooking together and I love finding recipes I know they're going to love (and me too). I love how simple and elegant these delicious desserts look. And they look like you can make them a nice and appropriate size. I love that too. This is such a wonderful post. My seeet tooth is very major, and these cookies look like a great sweet for me. Thanks for sharing! Wow these look soooo yummy! I am going to try to make them maybe this weekend they look delicious! Looks great! You're making me hungry! These chocolate cookies sound like so delicious. 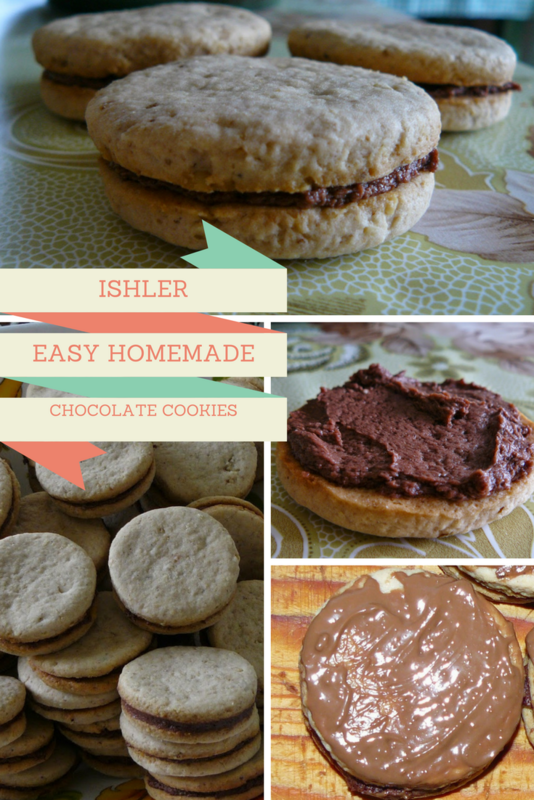 This is a great idea for making chocolate cookies and it is obviously so easy to make! How I love cookies for breakfast! You know how to make them since I love the pretty shapes. Chocolates also...so yummy!